Eustoma Lisianthus dbl. 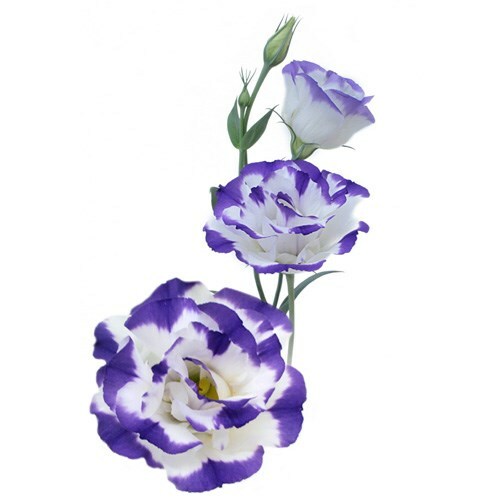 Balboa Blue Rim is a tall White/Purple cut flower with multiple bell shaped flowers. Approx. 80cm & wholesaled in Batches of 20 stems. Very popular for wedding flowers and flower arrangements.